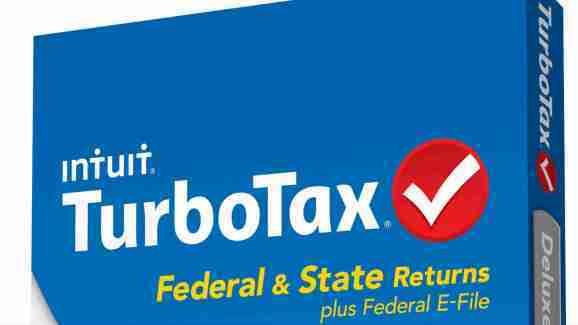 Intuit is most commonly known as the maker of Quickbooks, Quicken and TurboTax. However, when it comes to Intuit’s online business accounting platform that processes credit card payments, Intuit has proven itself not to be very intuitive when it comes to firearms-related businesses. In fact, it has gone so far as to shut down the credit card processing services of firearms related businesses. You would think that the company that started Quickbooks, TurboTax, and Quicken would be better at making things add up. The Mountain View, California-based company, is spinning in circles after being questioned about the recent denial of service to two firearms-related businesses. Honor Defense, a Georgia-based handgun maker, and Gunsite Academy, a premier firearms training facility in Arizona, found themselves at a loss for financial services when Intuit recently shut off their accounts. Intuit stopped, reversed, and even held money that was in transit from customers. It did it without warning. Now, Intuit is offering competing reasons for why these things happened. Ken Campbell, of Gunsite Academy, told the New York Post, they were dumped because Intuit believed they were selling firearms directly to customers. That’s not the case of course. Gunsite completes all sales through dealers that hold federal firearms licenses and conducts FBI National Instant Criminal Background System checks (NICS). Gunsite had just switched to Intuit when their service was abruptly halted. Intuit didn’t accept the explanation. The same happened with Gary Ramey, president of Honor Defense. Funds were frozen, and his company had to scramble to recover money from their customers. “It’s a reality, small business is the backbone of America, and financial institutions are infusing personal bias into their decisions,” Ramey explained. This is hardly new. Montana Tactical, a small brick-and-mortar store, suffered the same discrimination. It was the same story for The Gun Cabinet, Inc., in Conroe, Texas. There are plenty more. Intuit said that it doesn’t discriminate against firearms business. It said it just requires sales to be conducted face-to-face. Except, Montana Tactical got a notice that their business was being cut off for Internet-based sales and because they sold gunpowder. Intuit spokesperson Heather McLellan explained that companies agree to the terms of service, and if they can’t operate within the agreement, they reach out to the companies to explore solutions or work to transition them off Intuit’s service. McLellan explained that their banking partner, J.P. Morgan Chase, requires all sales to be done in person—but that’s not true. A very reliable source told me that J.P. Morgan denies Intuit’s blame-shifting excuse and is not pleased. 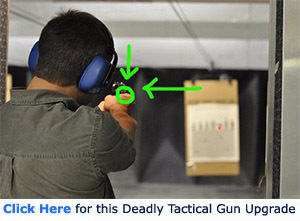 Why do you think Intuit is targeting firearms businesses? Share your answer in the comment section. i now risk showing my ignorance, but doesn’t quicken have it;s name splashed all over an entry in the nascar cup series? i wonder how the many loyal 2ndA followers feel about that.